Of Counsel, Jones Oberg & Green, LLP, 917 E. Jefferson St., Charlottesville, Virginia. To view Brock's law school video please click here. Board of Directors, Oakland School, Inc.
After graduating from the Law School at the University of Virginia in 1975, Brock obtained a judicial clerkship in Charlottesville with the Honorable Bernard V. McCusty, Federal Administrative Law Judge with the Social Security Administration. He then spent the next six years helping Virginia’s low income residents in a variety legal of capacities. 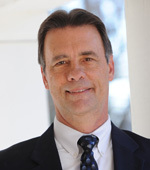 Among other positions, Brock founded and served as the Executive Director of the Legal Aid Society of the New River Valley in Christiansburg, Virginia. He also served as the Statewide Training Coordinator for the Virginia Poverty Law Center, responsible for training all legal aid lawyers and staff in Virginia. In addition, he served as a consultant for the federal Legal Services Corporation. Subsequently, for approximately ten years prior to his co-founding Jones Oberg & Green, LLP with his partner, Barry Jones, Brock worked in other small private firms in Charlottesville, in all of which he was a founding and named partner. His practice has always emphasized making the legal system responsive to all members of our society regardless of social status, race, background or income. In 2014, Brock retired from full time practice and accepted a position as Of Counsel with the firm. Brock’s personal interests include outdoor sports and activities of all kinds. He was a founding partner in East Coasters Bicycle Shop, Inc., in Blacksburg and Roanoke. In addition to his current civic activities, Brock has served as the Chairman of the Citizens’ Bicycle Task Force in Charlottesville, on the Board of Directors of Offender Aid and Restoration, on the Advisory Group to the Board of Directors of the Aids Support Group, Inc., and as the coach of three local AAU youth basketball teams. Brock has been married to his wonderful wife Julia since 1977 and they have joyfully raised two sons, Seth and Noah, both graduates of the University of Virginia.